For many people in the Upper Midwest, it has been a long, cold and difficult winter. Polar Vortex sub-zero cold snaps. Snow drifts higher than our cars. Streets that seem to be perpetually rutted with snow, ice and potholes. And all the outside conditions play havoc on our interior outlook. With few exceptions, we – are – all – sick – of – winter. So no wonder as the temperature rises, we want out. This week is spring break for many of the local schools and several families in the congregation have “escaped” to points south. But some of us who remain behind will not give way to winter. Take my friend, Tim Torgerson for example. Yesterday when the temperature climbed towards 40 degrees, he pulled down his bicycle from the garage rack and went for a 23 mile ride. Most of the county roads that he rides have wide shoulders and these are cleared of snow (but not sand and gravel). 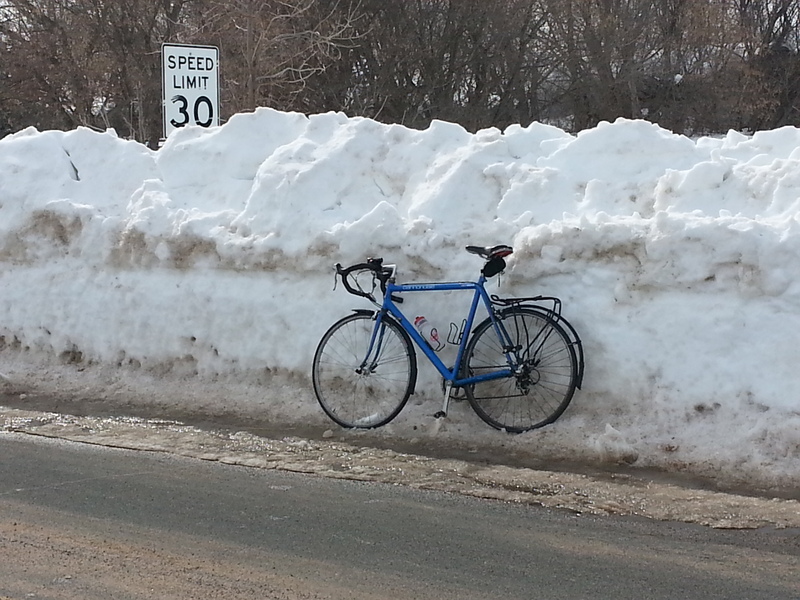 He even stopped to take a picture of the snow banks along the way. This morning he and I went for a run together, outside. Yes, there is still plenty of ice and snow on the running trails. Yes, with daylight saving times it was still dark at 6:45 am when we started out. But we were determined to avoid the dreaded treadmill and so we pulled on our spiked shoes, reflective vests and hit the road. Neither of us slipped or fell and we did enjoy a spectacular sunrise. Spring is coming to Minnesota, slow, but relentless. 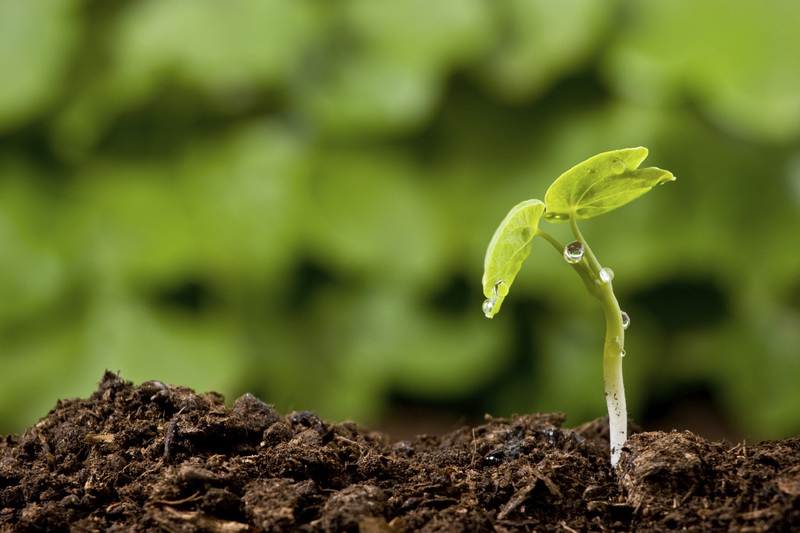 We take great hope in the promise of green grass, budding trees and fragrant flowers. Heck, I would relish some good old-fashion mud right now. The hope of spring reminds of a deeper, stronger hope. The promise of Christ’s resurrection. No matter how dark our lives may seem at times, Christ promises us new life. “I am the resurrection and the life.” John 11:25. Lord Jesus, my hope rests in you. This entry was posted in Body Mind Spirit, Physical Exercise, Resurrection, Running, spiritual exercise and tagged bicycling, Spring on March 10, 2014 by Pastor John Keller.